In China, millions of people traveled to be with their families to celebrate the Lunar New Year. 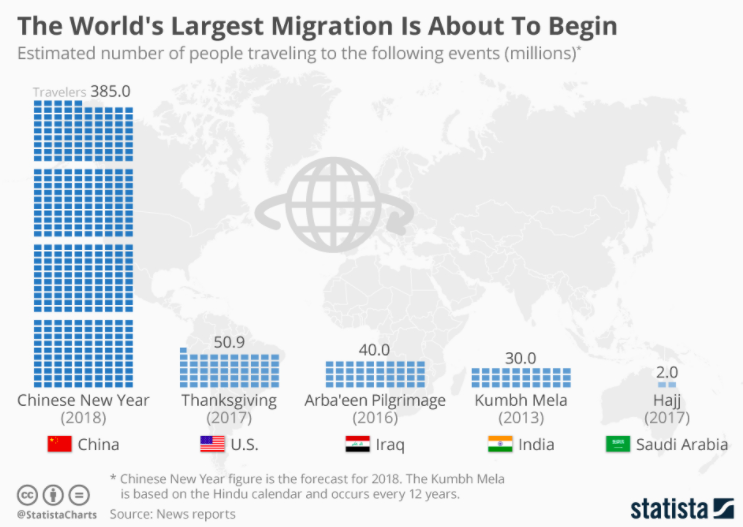 So many people in China travel at this time of the year that it is considered to be the largest annual movement of humanity anywhere in the world. The travel period this year is from February 1 to March 12, and nearly three billion trips are expected to be made by approximately 385 million people. On the Gregorian calendar, the calendar used by most of the Western world, Chinese New Year falls on different dates each year (in January or February). 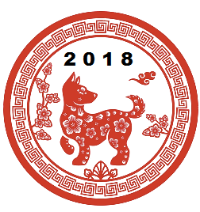 February 16 was the start of the Year of the Dog. Lion dances, red lanterns, dumplings, red clothes, and red envelopes containing money for kids are all part of the celebrations. Usually, you hear the sounds of firecrackers. However, over 400 Chinese cities, including the capital Beijing, have banned the use of firecrackers and fireworks to help reduce pollution problems. 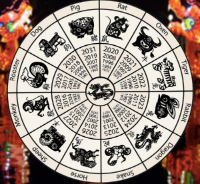 Each year of the Chinese calendar is assigned an animal name according to a repeating cycle of 12 animals: Rat, Ox, Tiger, Rabbit, Dragon, Snake, Horse, Sheep, Monkey, Rooster, Dog, and Boar. Here is a video about the Chinese New Year.